Is Chocolate Good for You or Just Fattening? Some people, such as pregnant women, may need to limit the amount of caffeine they consume. Caffeine is a stimulant and can have side effects in high quantities, including making you jittery or anxious and making it more difficult for you to fall asleep. Chocolate, tea, coffee and cola are some of the main sources of caffeine. Using carob instead of chocolate can help you limit the amount of caffeine you consume. Carob tastes a lot like chocolate, even though it comes from a different plant, making it a good substitute for chocolate. It may even be healthier than chocolate, because it is higher in fiber and doesn't contain caffeine. Chocolate is a bit higher in nutrients, however, with more copper and manganese than carob. Manganese helps with blood clotting, and you need copper for forming red blood cells and proper immune function. 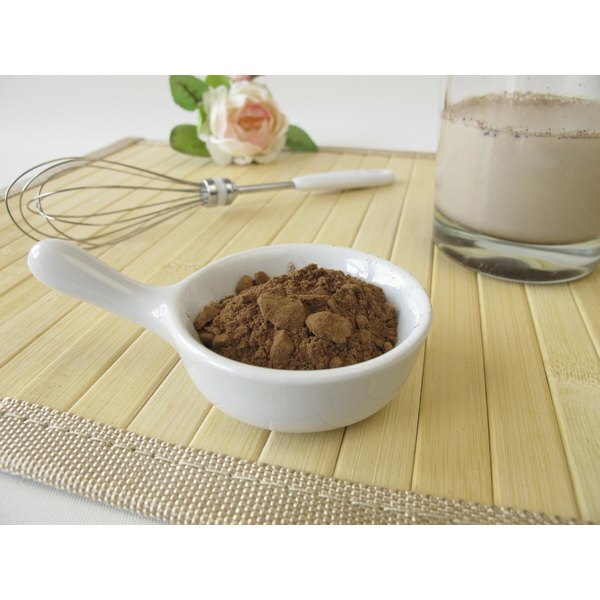 Academy of Nutrition and Dietetics: Is Carob Powder a Good Substitute for Chocolate?